It’s that time of year. Summer is quickly approaching and then another school year will start. You will have to make a decision about what education path you want your child (and your family) on. You have probably thought long and hard about what to do for your child’s schooling. Maybe your kid is in public school and you just aren’t comfortable with how things are going safety-wise in our country. Or maybe your child struggles in school and the logical thing seems to be homeschooling. Whatever the case may be, there are a few different things to consider when making the switch from public school to homeschool. Don’t let fear or misinformation guide your decision. Do your research and stay informed. One of the most nerve-wracking things about being a parent, is the fact that we have to make life-changing decisions for our kids. These choices might not always be easy, but if we stay informed and do the proper research, they could be the best decisions of our lives. Making the transition from public school to homeschooling is a frequent topic that I discuss with other parents. So many parents want to take their kids out of public school, but aren’t sure where to start when it comes to homeschooling. Read on to find out the questions you need to be asking yourself, and how to make the transition if you take the leap! Can I afford to homeschool? If you already stay at home with your kids, then this won’t really be an issue. If you work outside of the home, this part of the equation might be a little bit trickier. You do not want to jeopardize the financial health of your family to homeschool. If you are struggling monthly to make ends meet, then homeschooling might not be a viable option right away. That’s not to say that it never will be, but you will have to do some groundwork first. If you work through your budget and you can save money in certain areas to be able to homeschool, then go for it! There are a lot of things that I sacrifice to be able to homeschool my kids and it is totally worth it. I read The Total Money Makeover years ago and it ended up being the reason I can homeschool my kids now. No, I don’t drive the newest car, or carry the most expensive purse (or any purse for that matter), but I get to homeschool and that is what’s important to me. What are the homeschooling laws in my state? Some states are really flexible when it comes to homeschooling, and some require intense documentation. To find out what the laws are in your state, you can check out HSLDA.org and see exactly what is required. Don’t let the laws keep you from homeschooling, just be informed on what they are in your state. Homeschooling is not for the faint of heart. I’m not trying to make anyone fearful of homeschooling, but I am trying to be real about things to take into consideration. Your mental health as a mom is what your kids’ well-being depends on. If you suffer from depression, or other mental illness, you have to take yourself into consideration. This is a tough one to think about. As much as you might want to homeschool, keeping your mental health in check is imperative. If you are a mom who really needs alone time, then homeschooling might not be a good fit for your family. If you can make sure that your spouse, family member, or babysitter can give you the regular breaks you need, then homeschooling could work. Just make sure you aren’t forgetting to take care of you. Of course, there are co-ops and playdates, but can you handle being with your kids for most days? Homeschooling is truly about building relationships with your kids. If the thought of being with your kids, day-in and day-out, is stressful to think about, then homeschooling might not be the answer. No matter what style of homeschooling you choose, you will have to be the resource provider and education cheerleader. This is actually a super fun part of the job, if you’re up to it! Field trips and excursions will need to be a huge part of your life. Did someone say library card? Providing resources, such as science kits and lots of books will be at the top of your list! Once you have settled on the decision to homeschool, take a deep breath! Homeschooling is a commitment, but if it absolutely DOES NOT work for you or your kids, there are different things to try and ALWAYS other options. Keep that in mind! This is probably the most important step after your child has been in public school. Public school has a completely different set of demands than homeschooling will have for your child. Take time to detox from school. This might take a week, or even two. The amount of time will depend on what seems appropriate and helpful for your child. Your deschooling time can be spent figuring out what your child is interested in and what routines will be most beneficial for your homeschool. 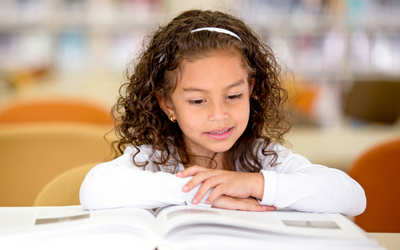 Research and try out different styles of homeschooling. 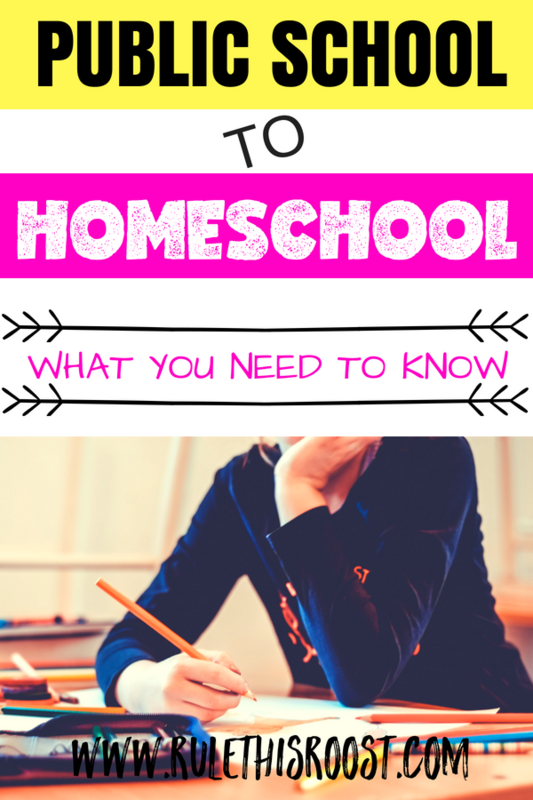 By the time you have decided to take your child out of public schoool to homeschool, you may have already decided what homeschooling style you want to use. Whether you decide on unschooling, relaxed homeschooling, classically homeschooling, Charlotte Mason homeschooling or homeschooling out of a curriculum box, you will find that your child’s needs will change. The best advice is to go with what your child is interested in, and build from there. One of the most important things to understand about homeschooling is that it does not have to replicate public school. Homeschooling is flexible, based on the needs of your family. If your child does not do well with workbooks, don’t force them. There are so many different ways to learn material. And honestly, it’s not about the memorizing of facts, it’s about instilling a love for learning in your kids. It’s not unreasonable to have high expectations. But, make sure that your expectations are based on facts and research. When you know what is developmentally appropriate for your child AND what your child’s abilities are, you are able to set reasonable and realistic expectations. It’s not reasonable to expect a four-year-old to read and write. Kids learn at different paces, and embracing that will be the key to your success. The book, The Smartest Kids in the World: And How They Got That Way is an excellent book that explores the most successful school systems in the world. It will surprise you when you find out what age the successful countries begin schooling children. Learn from the hard days. Let’s face it– being a parent is a tough job the way it is. Add in the role of teacher and it can definitely seem overwhelming. But, by being realistic and knowing what your child’s true capabilities are, you can avoid a lot of common obstacles. When the days are hard (because there will be hard days), make a commitment to learn from what has gone wrong. Maybe it is something that can be tweaked, or maybe you just need to step away and take a break. Even better, maybe you and your child just drop everything and head to the park. That is the beauty of homeschooling. Hard days don’t have to be a common occurrence. You can fix it, make adjustments and create the learning environment that you want for your child. Most parents are apprehensive when it comes to moving their child from public school to homeschool. That is totally understandable! It is a huge life change and one that a lot of parents didn’t expect to experience! Parents, pat yourselves on the back for realizing that your child might need a different educational setting. Now, take a deep breath and take the plunge with confidence. You can do this!